There are many good reasons to blog, but to be a truly effective badass blogger you need a purpose that transcends your own self-interest. Writers (and other creatives) will decide to blog because editors and agents and people like me tell them they need a platform. But if you throw up a blog – or a Facebook page or Youtube video or [insert shiny new social media object du jour] — just because everybody else is doing it, you are bound to run into frustration. It’s better to first gain some insight into what you’re doing, why you’re doing it, and why other people would engage with it. It’s important to understand that blogging is a long-term enterprise. Expect it to take one and a half to two years to build audience and gain traction. Expect it to be a lot of work. Expect that there will be times when you experience discouragement and blogger burn-out and thoughts like Just why the hell am I doing this thing?, You’ll wonder if there’s anybody out there reading your stuff. If there will ever be anybody out there reading your stuff. I don’t say this to be negative. (Don’t indulge in negativity on your blog; it’s tedious and unattractive.) I say this because when you go into the process with your eyes wide open, you’re less likely to get derailed by the inevitable bumps in the road. The vast majority of blogs don’t make it past a year. Understand that it truly is a marathon, and you’ll be less likely to quit at the first sign of cramping. Your focus instead will be on how to get past this problem, how to adjust your approach, and how to look to more experienced bloggers for guidance and advice. Use your start-up time as a time of practice, research and development. Experiment with your voice. Experiment with different types of posts. Let your blog take on its own shape and identity. Part of figuring out your blog involves figuring out who you are and what you have to offer. Instead of getting discouraged at your lack of audience, treat this as your chance to educate yourself in this new form of self-expression. Know your story. Your story announces who you are and what you’re here to give people. One of the things I took away from Leo Babauta’s blogging bootcamps was the importance of the “About Me” page. When someone comes to your site for the first time, one of the first things they do is check you out. They’re looking for a sense of who you are and — more importantly — what you can offer them. Which segues nicely into my next point: What are you offering them? Maybe you’re blogging to promote your creative work, to build a tribe, to create your brand, to put your voice out there. This is all well and good. But to accomplish these things you need to figure out what to blog about that will actually engage an audience….not to mention yourself. If all you’re doing is blogging about yourself or your book, you’ll run out of steam pretty quickly. There’s also this factor to consider: nobody really cares. Blogging is not about the hard sell. Blogging is not about the sell at all. If a visitor feels like you’re marketing to her, she is out of there. Blogging is also, as I mentioned before, a long-term enterprise. So it shouldn’t be about promoting just one book or just one project. There are other ways to do that (such as setting up a temporary Facebook page that generates discussion and community, and builds anticipation for an upcoming project, as Chris Brogan and Julian Smith did so effectively with their book TRUST AGENTS). Blogging should be about a much bigger picture, that doesn’t just encompass your past or present work but reaches toward your future work as well. All of it. Here’s the great paradox of blogging: you can only blog to market yourself through the act of unmarketing yourself. In other words: marketing should be a side benefit. Your blog needs a higher purpose, a raison d’etre to justify its own existence. Other bloggers will advise you to find a niche and make it your own, but I like to think of blogging as a kind of personal quest that has meaning for others as well as yourself. I started this blog not because I’m an expert in author platform but because I wanted to learn about author platform, and the best way to educate yourself on any subject is to teach it to others. (Not to mention, “teach to reach” is a key concept of content marketing, which is to say, marketing through the creation of content that in and of itself has value for its audience.) Along the way, I discovered a genuine passion for blogging and social media. You might say I’m obsessed with the stuff. I’m also fascinated with creativity, the creative process, and how to best live a genuinely creative life. Since this blog is still less than a year old, it’s still discovering its identity, but it seems to sit at the intersection of blogging/social media + creativity (and I can feel it wanting to add another + as well: entrepreneurship, which opens up a whole new personal quest). This is not what I would have predicted when I spun it off from my Livejournal last October; I thought I would be writing about craft + platform. Blog with an eye toward finding your own intersection. An intersection is a pretty great place to be. By combining two or even three of your passions, you can make unexpected connections between them and develop fresh insight, fresh perspectives. You can take information from one field and translate it to another (as I do with social media and writing) and in that translation find some space for your own originality. You can also carve out your own niche in a way that connects to other blogs (so you can form relationships with other bloggers and start to guest post) but doesn’t necessarily compete with them. You might not know what your passions are to begin with; that’s okay. Passion is a complicated subject. Follow the things that spark your interest, and see where they lead. Over time, your own mind will reveal itself, your story will refine itself, and you – and your readers – will be richer for it. I was nodding from “long-term enterprise” right down to “passion is complicated.” Quality info here. I’m a writer and new-ish blogger (6 months) and so much of what’s here I have already considered and put into action. Feeling pretty good about. Although, hearing that it takes a good two years to build a substantial following? Got to work on my patience, then, huh? This is a great article. As a writer whose agent said just that I’m learning a lot about platform and the beauty of creating a blog. Thanks for the info…..I’ll be back for more. Great post–You hit the nail right on the head! A blog needs purpose and intrinsic value to perform for the blogger. It has to stand for something more than just driving sales not only so it can attract followers but so the blogger can sustain passion, ideas, and energy for (hopefully) years to come. You need to offer value and actionable content, something people can take away and use either improve their lives or to find entertainment/escape. Remember the reader is always asking “What’s in it for me?” Be sure to answer it. You are right! In my experience, a blog is like a home–a place where you come to relax and rejuvenate yourself. In time, it becomes an inn, where other bloggers drop by, share notes, create an atmosphere. A blog is so much more than a mere marketing tool; it’s a logical extension of one’s writing/creative self, a place of self-exploration, a place of learning with others. I like how you describe following your passion, and how you describe the blogging process as being a part of your own self-discovery. I feel like I discover new benefits of blogging each day! As you write, it definitely encompasses way more than just marketing. It is fulfilling on both an internal and external level. Yes, what she said. Justine, I couldn’t agree more. You seem like a very interesting person. I also live in LA. I’m following you on Twitter now. I think there are a number of reasons why blogs fail. The top of my list would be that they have very little to say and once they’ve said it they find it hard to keep the momentum going. Next would be lack of readers and that’s mainly a result of poor (or more likely nonexistent) marketing. “If you build it, they will come” may work for ghosts with an interest in baseball but the bottom line is that no one is looking to read your blog not because it’s no good but because they don’t know it’s there. What you need to do is find out where they’re looking, go stand there and try to attract someone’s attention. That takes commitment. When I first started out I was jumping for joy when my readers hit double figures. Over 4500 people clicked on my blog last month but it’s taken me 3 years to get there. I’m strongly opposed to the hard sell but I’m also opposed to the no sell. I mention my writing on a regular basis and include poems or quotes from my novels in my articles just to keep public awareness alive; I talk about my writing without actively selling it to people. I personally find blogs that detail everything to do with their books tedious and I soon unsubscribe. Your opening statements about why you should blog and what you should blog about reminded me of the advice Hemingway gave to an aspiring writer. He told him to hang himself and have a friend cut him down right before he died. Then he would have something to write about. Sometimes it seems we need to have such a drastic experience to make us interesting people. Great advice. I know I need to think through this blog thing. I’ve been playing at blogging for about a year. I just did it for family and friends and curiosity, expecting to walk away from it when I got bored. I know at some point I need to be more serious and consider things like marketing, but for now playing is a learning experience–it’s creative and fun. Somewhere in the back of mind an idea is percolating about how I want to do a writer platform. Great guidance– if I ever go to blog world, I will remember these wise words. Thinking about a blog as a long-term investment is easy — it took me six and a half years to go from starting to work at writing fiction to submitting a novel. Now I have two novels out on submission and I’m editing a third. It’s going to be two years, minimum, before there are books on the shelves with my name on the spine. Using that time to build an audience makes perfect sense. Thank you for two things — the permission to experiment (my blog post yesterday was a note to my readers — mostly friends whom I tell, “Go see what I wrote today” — that I am going to experiment to see what works) and the mention of the blogging bootcamp. I didn’t sign up for the bootcamp ($20 a month is beyond me at the moment), but I did sign up for their free information. Thank you! Yep, yep…yep, yep, yep ( say that with a rythmn) I set out as a marketting exercise and discovered that blogging is way more fun than that, you get to make friends, stimulate discussion, learn from others, share your insights ( pathetic as they may be, but people tell me they get something out of them) and do all sorts of creative stuff on your blog – what a distraction it can be, but hey, I’m having fun. I learnt pretty soon that it’s about the long haul, but the best things are. This is the best piece of advice: Follow the things that spark your interest, and see where they lead. As a relatively new blogger, I’ve found that topics stirring up my passion produce far more readable posts than random thoughts cobbled together. Thank you for a cool blog post. It basically sums up some of the reflections I’ve been having while blogging as well as adding new insight. My own blog is more than anything a personal tool, a collection of everything that I find fascinating and inspiring. I’ve gained a somewhat solid amount of readers over time (and you’re so right, it takes time to build an audience) – and I even got my last job because of it. So it has been and still is worthwhile. Can I just say that I love when writers comment on other’s blogs, because they use proper grammar, spelling and punctuation? That always makes me happy. But anyway, your blog really did a great job discussing the important things that should be in mine. I know that I’ll continue to look back at this as a reference as I’m writing. Hi Justine, I came over from Jen at Conversion Diary. I’m adding you to my daily reading list — I just devoured a bunch of your posts and I think you are just what I’ve been looking for to kick myself into higher gear with my writing. Thanks! I can’t wait to see what you say next. Great insight and advice. I think you hit the mark with the paradox comment. 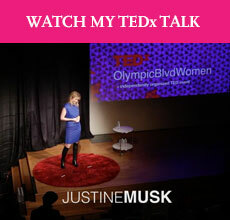 Justine: Thanks for your site and insights. I’ve sent links to clients and am mentioning Tribal Writer in our next newsletter. Intelligent, substantive content. Please keep sharing. I have to say that this is a wonderful post. I have been a blogger for about two years now and that some of the things you mentioned in this post was exactly going thru when I was settign up my first blog back in 2008 (Anime Full Circle-www.animefullcircle.com). Granted it took me a while to find my voice and set up a basic writing style for my posts, but once I got over those hurdles, I have been able to gain a strong following and I have been able to become an co-author on a fellow blogger’s site. Recently, I have established a second blog that focuses on my writing and my thoughts about the world around us entitled Pendragon’s Lair. And in case your wondering how I came up with the name, I took it from my pen name Raven Pendragon. It is a catchy title and I hope that it will become a major success as my other blog. But in closing, this was a very informative artice and I encourage you to check out both of my blogs whenever you have a moment. Keep up the great work and I hope to see more great post from you in the near future. Thanks for an inspiring post. As a new blogger (a wee 3 months!) it was exactly the kind of thing I needed to read right now.